Hundreds of trade unionists, activists, councilors and MPs have descended on Parliament to protest against the Tory-led government’s controversial Housing Bill that “will worsen the housing crisis” engulfing Britain. 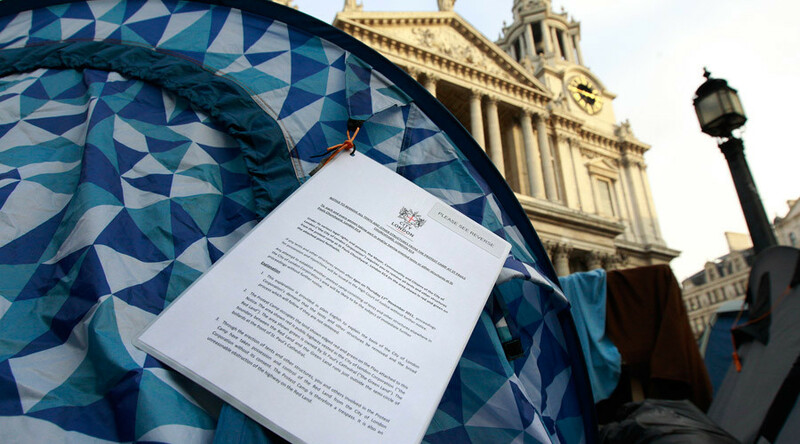 As MPs debate the Housing and Planning Bill in the House of Commons on Tuesday, “Kill the Housing Bill” protestors occupied Parliament Square and demanded the government scrap the legislation. Organized by Defend Council Housing, the protest, which calls for “secure homes for all,” began at 13.00 p.m. GMT. Members of the GMB union demonstrated alongside disabled activists and members of the Green Party. Publication of the draft bill in October confirmed government ministers plan to introduce a “pay-to-stay” scheme, a system that would force families living in social housing and earning £30,000-£40,000 in London to pay rents nearly as high as those in the private sector. If passed, the bill would also compel local authorities to sell ‘high value’ housing, either by transferring public housing into private hands or giving the land it sits on to property developers. Therefore, rent prices and waiting lists would soar, making it harder for working class citizens to afford to live in the capital. “Their Housing Bill sells off existing council and housing association homes – with no replacements for rent. “It takes public funding away from affordable homes for rent and does nothing to improve security or control rents for private renters. When the Bill was unveiled last year, politicians and campaigners warned it would worsen the crisis of affordable housing. Critics say the pay-to-stay scheme would spell the end of council housing in Britain. “The housing bill has come out of the blue, we haven’t had time to prepare for anything. Most people are not aware of it,” a spokesperson for the group told RT. The group said the bill “hasn’t got the attention it needs,” as several people who are unaware of the legislation will be “stunned” by its effects. “A lot of people will be affected by it, many people can’t afford to pay private sector rent,” they said, adding the bill would “alienate” the working class. On Monday, it emerged that a quietly-tabled government amendment to the bill would strip new council housing tenants of their lifetime security of tenure. It would force councils to offer tenancies of between two and five years. However, Prime Minister David Cameron has pledged to protect London’s affordable homes. Writing in the Evening Standard, the PM said the government is accepting an amendment put down by Tory mayoral candidate Zac Goldsmith to guarantee two affordable homes are built in London for each council house sold off under the new policy.